We took a walk through the hundreds of displays and booths with an eye open for designs for your work place. Whether you operate out of a couple of floors in one of the towers in Toronto’s skyline, a tech hub in Waterloo, or your home office, we have something to inspire and ignite you in 2019. The working space in your office might be all settled, but where do you grab lunch or take a break? The Madeline Banquette by Style Garage combines an Art Deco look with close attention paid to visual simplicity and comfort when seated. Equipped with an outlet and a pair of USB ports at each end, the banquet allows you to charge up your device or stay plugged in without cords reaching across the room. While the brown leather and light wood base are beautiful, the Madeline Banquette can be customized with options that include stainless steel, french seams and matching or contrasting topstitch. To top it all, Style Garage products are designed and manufactured in Toronto. Overstimulation is our constant state: a steady stream of emails, social media scrolling, and meetings about meetings push our mental capacities to the limit. There are times that you need to unplug, shut it all out and take a moment to breath and gather your thoughts. Tangible Interaction presented their answer to this challenge of the modern workplace at IDS – it’s called Haven, and it is an inflatable bubble of peace that can be set up in almost any room. 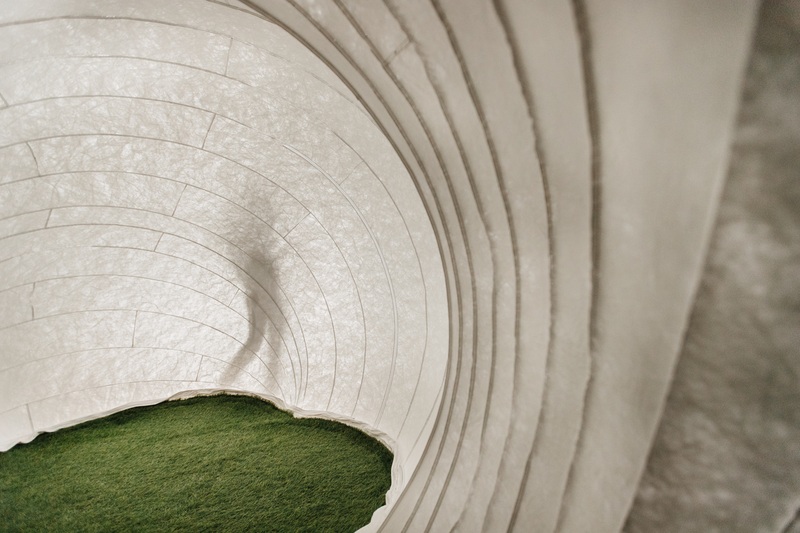 Inside, there is an artificial grass carpet that is comfortable to sit on, an opaque white shell providing a physical barrier to your surroundings, and an unnoticeable electric fan that keeps it inflated. The calming effect upon entering is immediate, and it comes in three different sizes. It is not soundproof, yet despite trying it amidst the buzz of the IDS crowds, it still offered an escape from the busyness. Of their selections, the Penelope is our recommendation, offering you a horizontally opening queen-sized bed, that has a fold down desk. 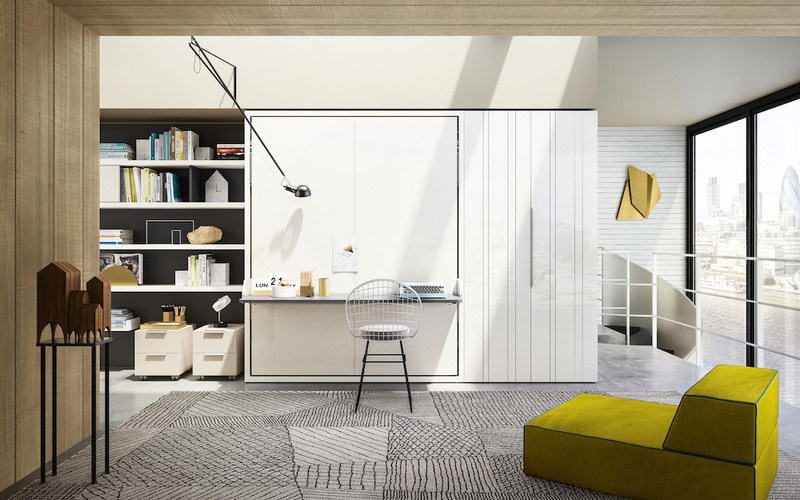 The magic of this transforming wall bed is that there is a pivoting mechanism on the desk that allows you to open the bed without having to clear anything off of the desk (including a full cup of coffee with no spill). Is it comfortable for sleeping? Is it easy to fold away? Does it look beautiful? For most of the year, the weather in Canada requires planning and layers if you are going to leave the house. For at least 10 months of the year (if not 11) you need some kind of jacket (from down-filled parka to lightweight bomber). 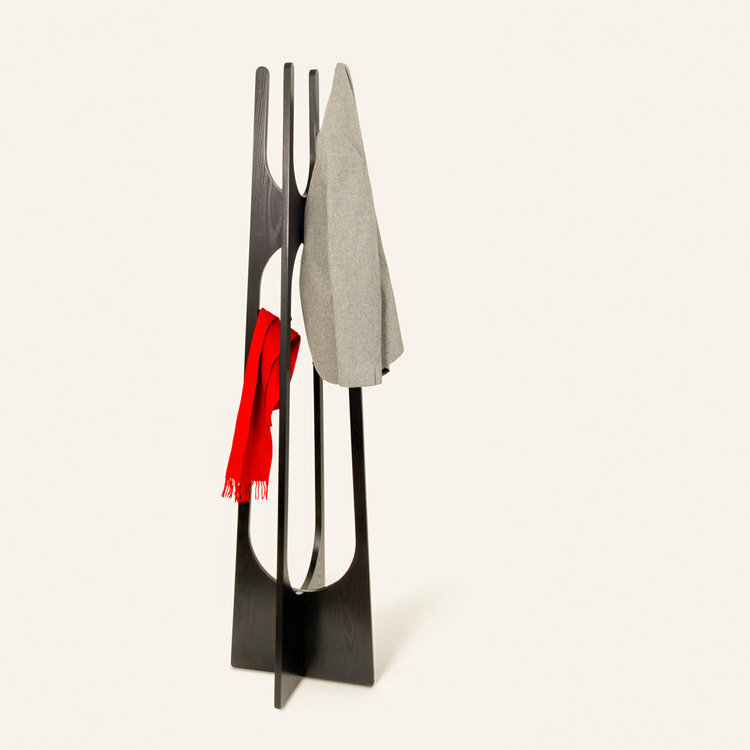 When we saw the Sentinel Coat Stand from Objects and Ideas (a Canadian design practice formed by Di Tao and Bob Dodd in 2015), it stood out as meeting the need for somewhere to hang your coat that is functional when full, and beautiful to look at when not in use. As they describe it, it is meant to look like, “a silent sentinel standing at attention.” The design is minimalist and sculptural, using wood and curvy negative space to provide changing views as you move through the room. While not a replacement for a coat room, it is Ideal for the corner of your office or for a small business. If you have all of the practical bases covered in your office, and are looking for something that pops with colour and personality, Vako Design’s Vanity Chair was one of the jewels at IDS to consider. The circular purple backing draws the eye in over and over again. The simple oak frame and fuscha cushioning function as a comfortable seat, while filling the room with a playful expression of an appreciation for art and colour. 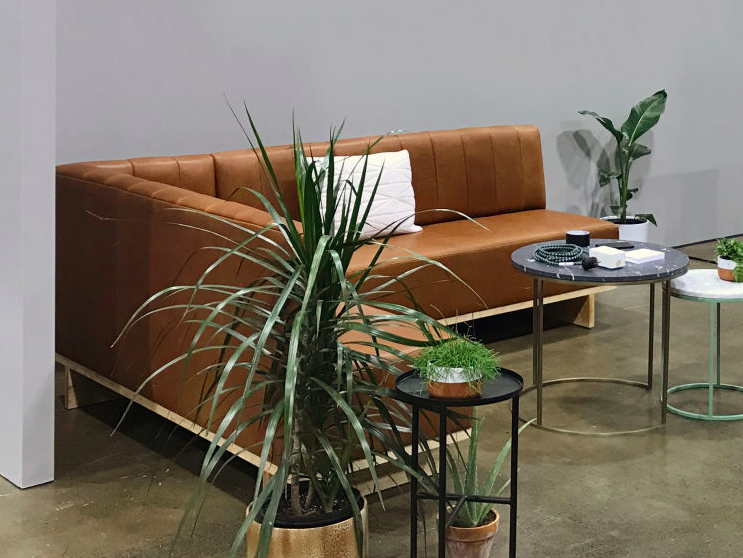 Imagine waiting for a meeting and this is where you are asked to sit; it is a bold choice, but success in business doesn’t happen without some boldness. 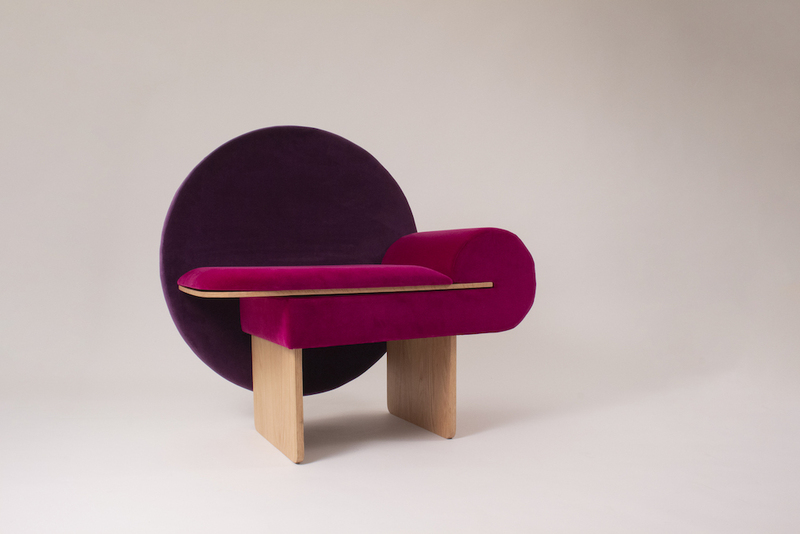 Mikael Baillairge is the Montreal based furniture designer behind Formel, whose designs are soft, light and rounded, focusing on utility and ergonomic usage. 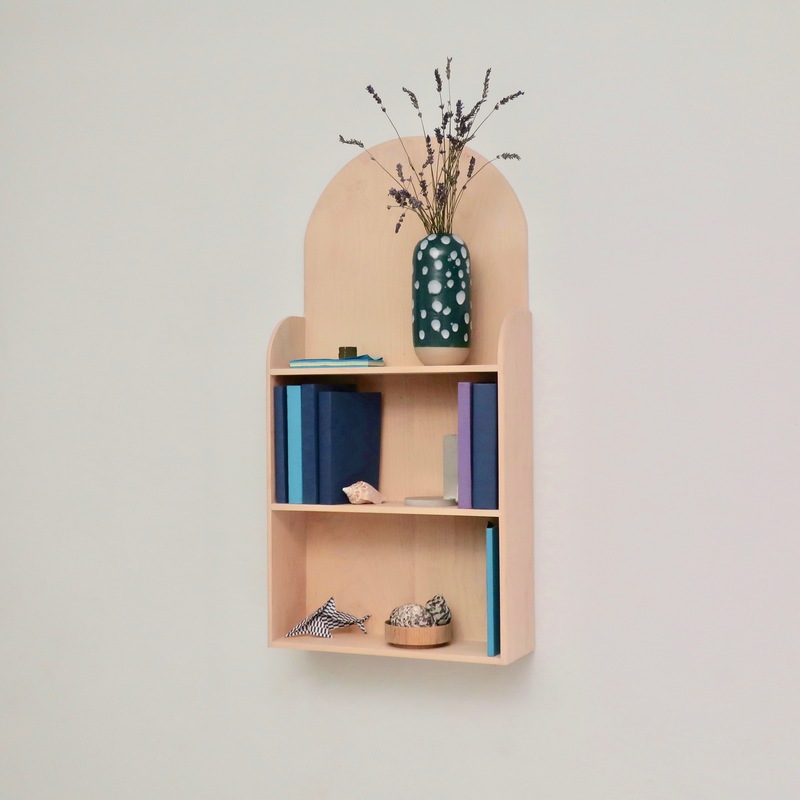 In the case his Folio E bookcase, these aesthetic features make the items you choose to place on it more prominent, which is perfect for displaying your visually appealing books, statement vases or quirky pieces of décor in your collection. It sits flush on the wall with hidden key hole fixtures on the back, and the rounded edges at the time make it feel like it belongs on any wall you hang it on. While serving a practical function, your arrangement on the Folio E becomes a stage for sharing your inspirations and aspirations, giving space for creative expression in your office. Visual content is essential to ensuring the voice of your brand is communicating to the world. While a great emphasis is put on sharing this voice online through mobile devices, having a strong visual presence in your office space or lobby can be impactful on partners, employees and customers. 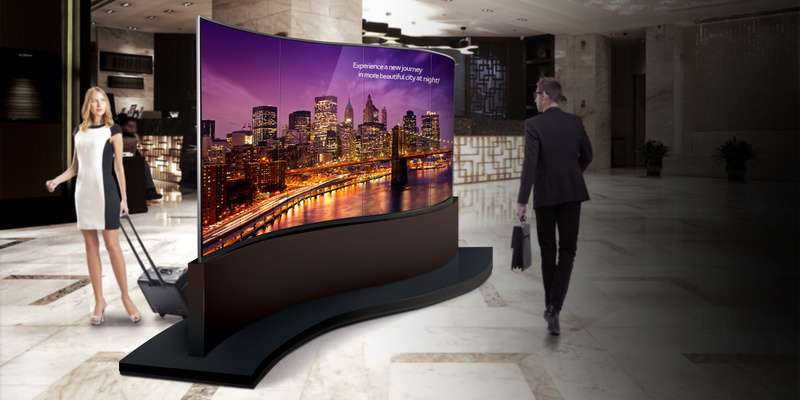 LG presented a range of digital signage options at IDS, and among the most visually stunning is the Dual View Curved Tiling OLED Display. The physical impression it makes impacts how people move through the space it is in, and the curved lines of the screen combine the strengths of art and advertising together to take your visual story out of our phones and into a room where it will be noticed. The need for some kind of separation of spaces is important for privacy and focus, especially in open-concept and home offices,. 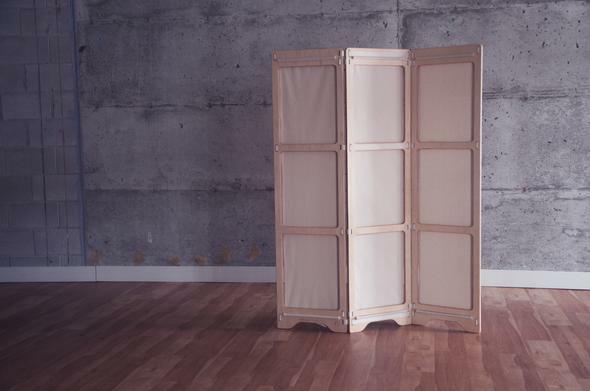 There is a huge variety of dividers available, but Studio Nyctale presented the Pli, which is their bi-folding screen. The light wood frame provides the structure, while the fibrous cotton screen offers a visual serpartion: the combination of smooth and textured surfaces is especially pleasing to the senses. It is all held together by a combination of cotton straps and stainless steel d-ring fixtures that serve as subtle accent, giving them a tiny bit of added character. Every work space needs light, and the right fixture can say a lot about how you approach your business. 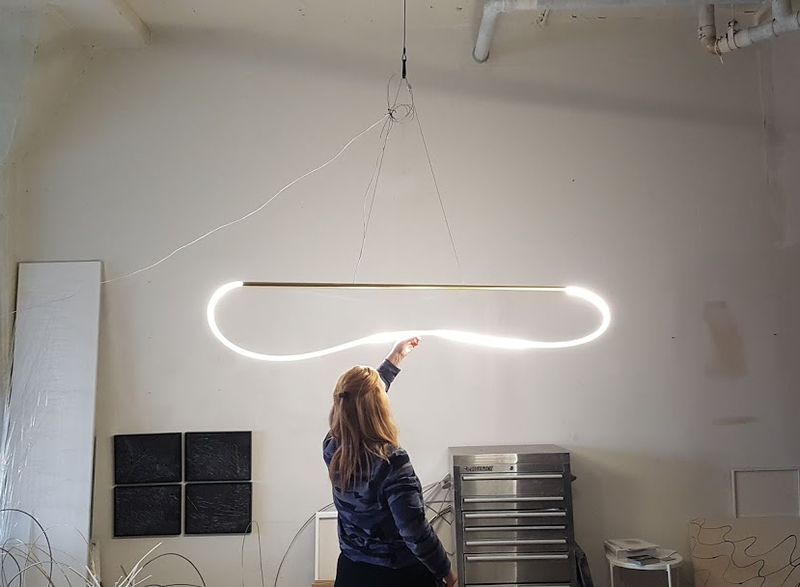 The Static Light by Tonya Hart combines a straight brass line with a curved LED bulb that is radiant in the light it provides, and fascinating in the different angles that you can see when looking at it from the side or from below. With this design, the Static Light finds a very difficult balance between fitting into a more traditional or conservative spaces and being right at home in an office that speaks innovation out of every corner. If you are in need of an actual office, or want to set-up a satellite location, Giant Containers rents and sells shipping containers for that purpose. They have put together a team of experts that can fabricate custom shipping containers to function for your office needs. They also offer a Design Build option, where you can work with their team of architects and engineers to take your vision from concept to production. There has been an increase in the use of shipping containers for retail activations, homes and offices, but Giant Containers has pulled together best-practices and cutting-edge approaches in design, giving their shipping containers an appeal that reaches into the mainstream. 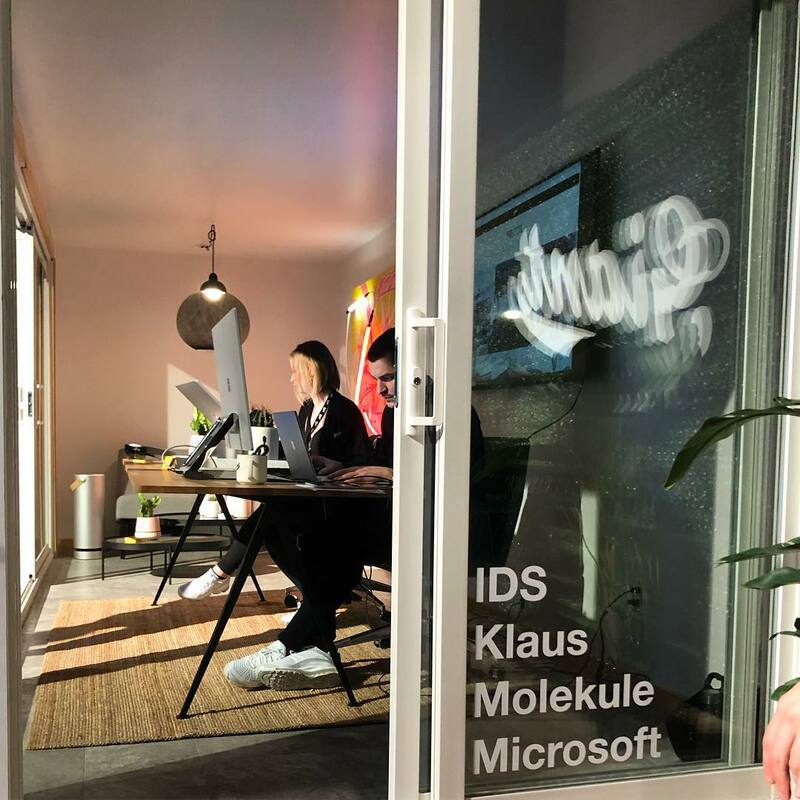 The options they created for IDS were stunning and felt like a place you might love to run your business out of.